ADT has recently unveiled its new ADT Commercial brand and positioning video as part of its multi-year expansion plans. Since the merger with Protection 1, ADT has built upon its commercial capabilities and customer-focused approach, combining more than ten strategic acquisitions, bringing decades of experience to commercial and national account customers. ADT’s announcement is part of its participation in ISC West, one of North America’s largest security industry trade shows, with more than 30,000 industry professionals and 1,000 exhibitors. 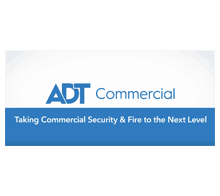 ADT Commercial brings together experience, capabilities and offerings from acquisitions made since merging with Protection 1, with the goal of creating a best-in-class security and life safety provider. Most recently, these acquisitions include Red Hawk Fire & Security, Aronson Security Group, MSE Security, Advanced Cabling and Commercial Protection Systems, Inc.